Interconnectivity: Are You Linked to Kevin Bacon? With more than 7 billion people in the world (US Census Bureau), the Internet and social media make us believe that it just might be a small world, despite the numbers. With an incredible network of connections, it is sometimes unfathomable to believe that someone from California could possibly connect to someone they have never met in London, through the various Internet sources find a bed and breakfast or do a home swap in time for the 2012 Olympics. Bodies, bridges, social networks–what do they have in common? At this point in time, there is a convergence of centuries of mathematical and scientific formulas that form the basis for the belief that networks are present everywhere and in everything. Barbasi describes nodes, links, hubs and networks, labeling “isolated nodes” as people. As an example, he says when people meet each other, they form a link. When several people get together, say at a party to share information, they form a network or cluster. So, like the internet, a network of connections can go from “isolated nodes” to isolated networks to big clusters with a commonality. 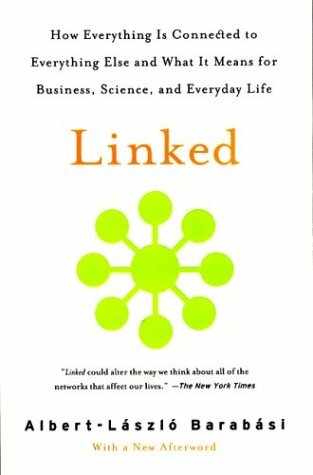 Networks can be “computers linked by phone lines, islands connected by bridges and molecules in our bodies linked by chemical bonds.” These networks are linked to connectors and hubs that can cause exponential growth and opportunities for more connections and knowledge. Barabasi uses the concept of “Six Degrees of Separation” to explain how closely we can be connected to others and not even realize it. 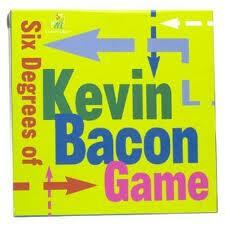 Hungarian Author Frigyes Karinthy first wrote about this theory—that everyone in the world can be connected “through a chain of acquaintances of no more than five intermediaries”—in his 1929 “Chains.” This concept is illustrated in the game “Six Degrees of Kevin Bacon.” Actor Kevin Bacon is seen as a Hollywood hub for all actors who have worked with him or someone he knows. The best example of these types of strong and weak connections is LinkedIn. Strong ties are those people who are super close to us, but the best “investment” is to branch out to the weak ties, those we may not know as well, but who can broaden our connections. In my own LinkedIn account, some amazing statistics state: 510 connections link you to 6,365,236+ professionals; and, 65,321 new people in your network since July 22. Wow. When I took Social Media for Editors at UCSD Extension, what I learned from instructor Erin Brenner reinforced Barabasi’s viewpoint: that for effective connections, I would not benefit from linking to so many other writers, but I would benefit if I linked to organizations or individuals who I wanted to reach as potential clients, such as motivational Latina speakers. Barabasi mentions the “power laws;” one revolves around the 80/20 rule, also known as the Pareto Principle, named after Italian economist Vilfredo Pareto. His belief? Power comes from a few. He said that 80% of the property in Italy was owned by 20% of the population. Another: 80% of your sales comes from 20% of your clients. My favorite? How 20% of the population earns 80% of the income. Interconnectivity. There is absolute awe in the concept. But there should also be a little bit of wariness. A little bit of fear. And a whole lot of respect for the power at our fingertips. Online publishing puts news at a consumer’s fingertips in an instant. For any journalist trained in only print, radio or television, online publishing is a new world. Think multi-media. Think “billboard” for posting headlines and text. Think interactive. 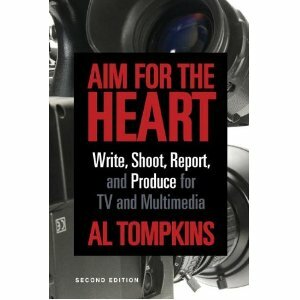 In the book, Aim for the Heart: Write, Shoot, Report and Produce for TV and Multimedia, journalist author Al Tompkins lays out the facts of an ever-changing terrain—journalism as we’ve known it, and how a journalist must adapt to online publishing. Tompkins, who is also senior faculty for the Poynter Institute, points out how there must be a great shift in thinking, training, ethics, and coverage techniques in order to be most effective and offer readers multiple ways to consume the news. Poynter Institute faculty member Al Tompkins teaches how to produce effective content for multimedia journalism. Online publishing is about engaging audience. Online publishing should not be the same as what we put on TV. It is not TV. It is about letting the viewers, listeners and readers decide how they want to consume the news—even on that particular day, for that particular kind of news story. Visuals include maps, graphs, video, still photo galleries, raw footage, text, and links (but make sure they are legitimate, reputable and add to the story, since readers are taken away from the news site). There are “comments” sections after stories and with blogs, various ways to post on Twitter, and easy-to-follow directions to allow readers to post videos or stills on sites. Cover a story from different angles, beyond the initial story focus. Tompkins suggests, for example, shooting half-time entertainment at high school football games to reach a different audience from the same location—band members, cheerleaders and their families. Make it personal. Localize it. Interactive maps are another way to engage audiences. They can pinpoint where they are during a natural disaster, for example, and write a recap of what is happening in their neighborhoods. Most users log in either midmorning or in midafternoon. There is constant updating to an online news story; however, a journalist must post with very specific, focused language. Nowadays, when audiences go online to search for a story, do research or expand their knowledge on a topic, they use search engines such as Google, Yahoo! and MSN. The words they key in to “search” for their topic can lead them to a news agency’s site—if that site is using those words in the stories and headlines. Other ways to draw readership include having compelling video and photo shots that are close up rather than wide angled. Enlarge fonts and practice selective word choice. An interesting fact from Poynter Eyetrack showed that “online users tend to read more of an article than print readers do…” so to get them to read a story, a journalist has to offer the key words they searched for. Journalists also need to write tight—no more than 800 words—and 15 words or less per sentence. In other words, the story has to be enticing, engaging, interactive, and informative. One is no longer “just” a print media journalist. A “backpack” journalist must sharpen her skills so that she can file her own stories, become computer savvy, involve social media tools, know basics of Photoshop, video editing and audio editing, and understand “netiquette.” At all times a journalist must think in multi-media layers. Assessing readership is crucial. Why did they come to your website? What were they expecting? How can you present information? Visitor presence is measured through page views, visitors, unique visitors and the time they all spend on the site and all these factors must be taken into account as a reporter covers stories. Most importantly, a journalist’s code of ethics must remain steady even as online publishing changes continuously. In 2010, Tompkins, along with news director Kevin Benz, Radio Television Digital News Association (RTDNA) chair Stacey Woelfel, attorneys and other media representatives, produced guidelines for the ethical use of social media. These social media guidelines for journalists include truth and fairness, accountability and transparency, and image and reputation. Journalists are expected to uphold these. Sources must always be verified. Truth must be exposed. Awareness of the casualness of social media like Twitter should not be an excuse for inaccuracy and unfairness. Personal opinions and “friending” should not cross professional lines. With an intuitive guideline, a journalist must still “aim for the heart” in order to connect with readers on an emotional, interactive level. For journalists, words are powerful. They are the foundation and building blocks of a great story. The goal is to produce facts about a news event, features stories and profiles that show depth and heart, or insight that offers an opinion. The way words are strung together can produce sentences and paragraphs that present the material in a clear, concise and comprehensive manner—and still have an impact. The goal: to grab a reader’s attention and tell the best possible story. Effective word choice can make all the difference. Today, in a multi-media world, word choice has to be thoughtful and efficient. Author Steve Krug uses common sense tactics to make web site development user-friendly and efficient–which can result in more traffic to a site, more sales & improved online presence. In Chapter 3, “Billboard Design 101,” he reiterates the importance of word choice and word placement. Buttons, links, hyperlinks, highlighted text, graphics, video and boxes on a page must be used with words to help a user have a basically good, fulfilling and result-oriented experience on a particular site. The bottom line is, once a user is at a site, don’t make her think. The process of scanning a page, especially a home page, should be mindless, effortless and not frustrating or confusing. No bells and whistles needed, just clarity. Krug, an expert in the field of web usability, has worked with big-name business sites such as Amazon.com, Apple, Lexus, and barnesandnoble.com, as well as other sites. He assesses what works and what doesn’t on web sites—from a user’s point of view. The consequences of not having a clear and easy format? People may try to muddle their way through the site, try to figure out what you’re trying to sell or services you offer, but in the long run, chances are likely that they won’t return if it takes too much effort. Working with a team such as a web designer, sales and marketing rep, and administrative honcho when trying to develop a site, can be difficult. Their needs for particular information can affect the overall essence of the project—and it can fail miserably because too much info is overpowering a page. Yet, Krug appeals to common sense efforts to entice users to a site and have them return over and over. One of my favorite parts in the book was on the billboard approach because as a print journalist, I tend to write long and think I need “just one more thing,” which, Krug says, can be enough to tip a user’s experience to the dark side. I also enjoyed the entire chapter on “Designing the Home Page” because that is the first stop—and you don’t want it to be the last for any visitor. He mentions key elements for the home page: site identity and mission, site hierarchy, teasers of what is inside and timely content, among others—all to make it absolutely clear “what the site is.” I did especially love what he says a user will ask: “What can I find here? And “What can I do here?” It is about easy access for information on what you are selling, promoting or promise to deliver. Also interesting was the “reservoir of goodwill” and how a person/business must be considerate of the user. Building goodwill between a site and a user, includes knowing “the main things that people want to do on your site and make them obvious and easy;” “tell me what I want to know;” and “save me steps whenever you can.” The “Accessibility” chapter was also a great bonus because often times, developers do not tend to think about including elements for people with disabilities such as deafness or blindness. Advanced Common Sense, Krug’s web usability consulting site, is a great addition to the book and offers updated timely advances by Krug, as well as a medium where he can promote his usability workshops and consultation services. His corporate motto—“It’s not rocket surgery,” however, was at the bottom of the page, which is not what he recommended in the examples throughout the book. However, Krug’s blog, Some Slightly Irregular, offers a more user-friendly way of getting to particular issues, questions or problems with the book and/or workshop content. Krug ties together all his skills and services through the book, the site and the blog in an efficient way. Krug could have included example sites for entrepreneurs or those in the creative arts, such as authors, photographers, artists. Their needs seem to be different than a huge business that is appealing to mass sales instead of niche markets. The initial common sense approach might be the same, but the emphasis may be on what the artist wants—or needs—and should have more creative expression on their sites. Take, for example, photographer Ann Collins. Her site, imagesbyanncollins.com, has to be visual. How can she get more traffic to her site and stay true to her art and visual beauty for emphasis? For the e-book version, which was downloaded from Amazon.com, there were some formatting issues and typos that temporarily distracted, but they did not take away from the brilliance of the content. Krug could also have improved the last two chapters he added to this edition. They did not seem to flow with the rest of the book’s style and focus. The chapter on usability testing was long and drawn out; not as concise as other chapters. The “what bosses think” chapter also seemed laborious to wade through. The info here could have been condensed and even inserted into an already-established chapter. 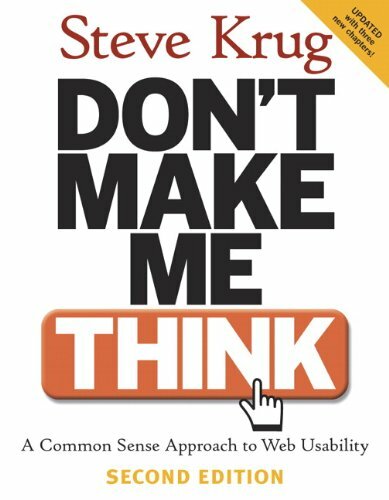 To develop a site that will be user-friendly and clear, the first stop for the site owner, developer, designer and all involved in the process, should be to read Steve Krug’s Don’t Make Me Think. Much of it is common sense and the user-friendly approach makes the book a gem of a source for creating outstanding sites. Oscar Pistorius–Inspiration for the Olympics & Beyond! No whining, no blaming, no pity parties. This is living. Oscar Pistorius should be the new poster guy for Nike. Just Do It! Can hardly wait for the Olympics to start. Go Oscar! Happy 4th of July, everyone! After taking an International Reporting class for my Digital Journalism master’s program, today especially, I’m terribly proud and eternally grateful to live in America. Despite problems and shortcomings, in comparison to many other countries, we have so many opportunities and blessings. I thank my dad, brother, uncles and cousins who have served in our Armed Forces. And for the thousands who serve today, thank you! Though your transition home may take time, I hope you know that your sacrifices for our freedom have not gone unnoticed. Today I will celebrate, I will cry when I truly listen to the words of our patriotic songs, and I will believe in better days ahead. Please enjoy some of my favorite versions of God Bless America (Martina McBride), our National Anthem–The Star Spangled Banner (Kelly Clarkson) and America the Beautiful (Ray Charles). Homegrown talent was celebrated big time on Saturday night, June 9 at the San Diego Book Awards Banquet! I was thrilled, humbled, honored to be the keynote speaker. 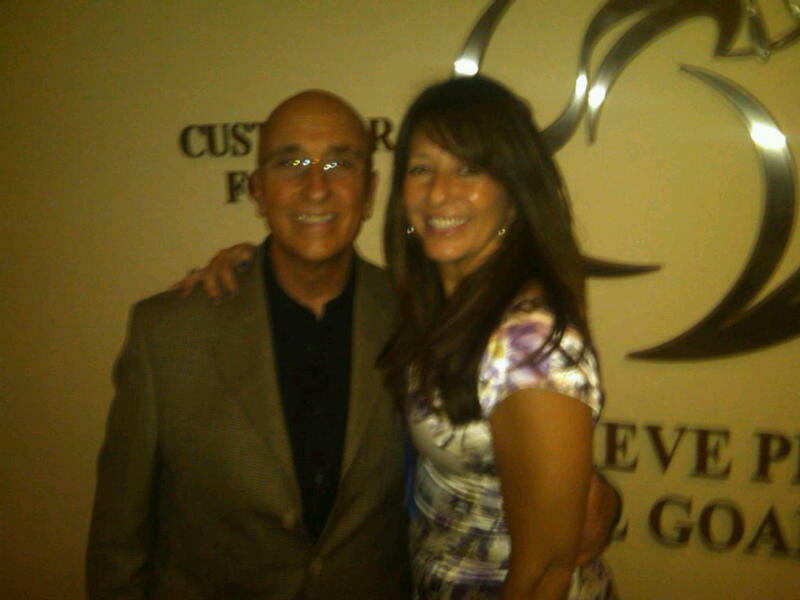 As always when surrounded by such motivated writers/authors, I was inspired. Host/emcee Bruno Leone was an absolute delight, ad- libbing, dropping trivia, telling great jokes. He set a great tone for the night. New for the first time was a “Kids Write” category for young writers ages 10-13. Cody Clements, Julia Situ, and Brian Wang were the finalists; Julia went on to win first! RWA-SD President, Lisa Kessler, took first place at the San Diego Book Awards banquet for her book, Night Walker. 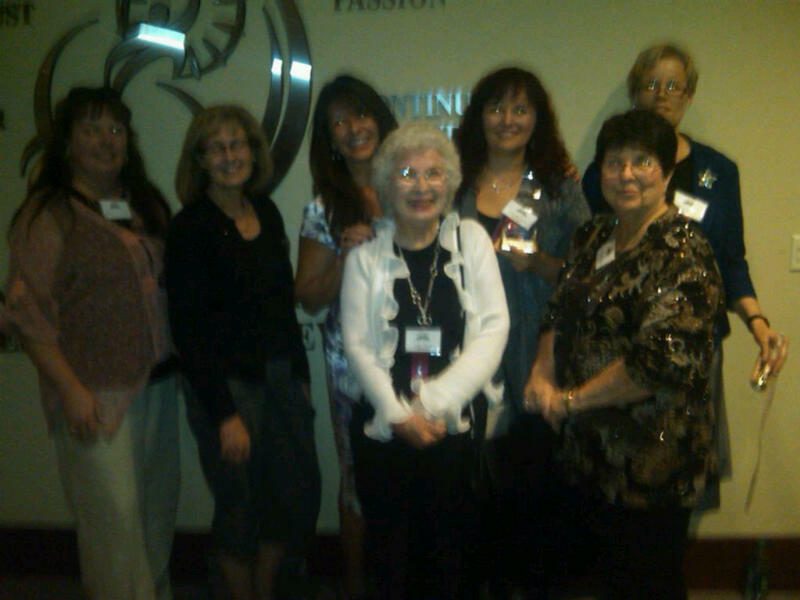 The Romance Writers of America, San Diego chapter, was well represented. 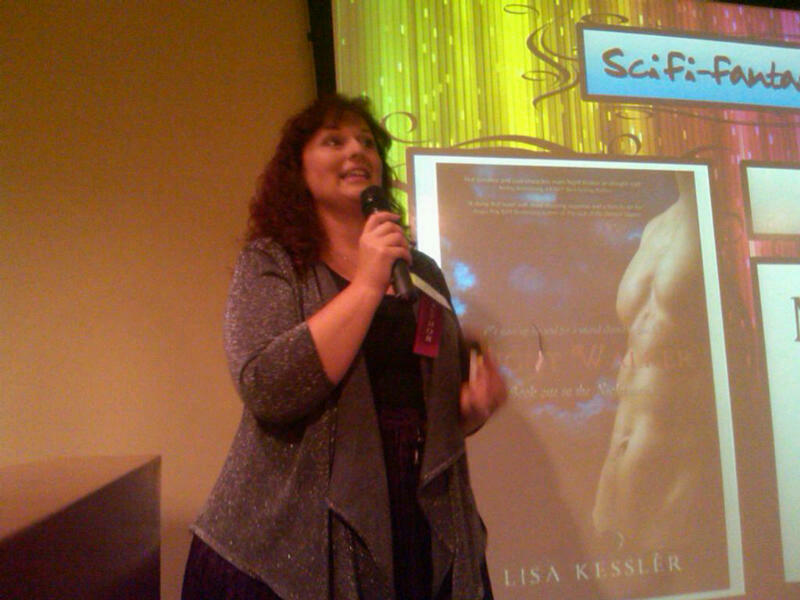 RWASD President Lisa Kessler took first in the Sci-fi/Fantasy Category for Night Walker. RWASD member, Kelly Hayes took first in unpublished YA for her novel, Keepers. The judges were kept busy all these months reading many, many entries in about 20 different categories. 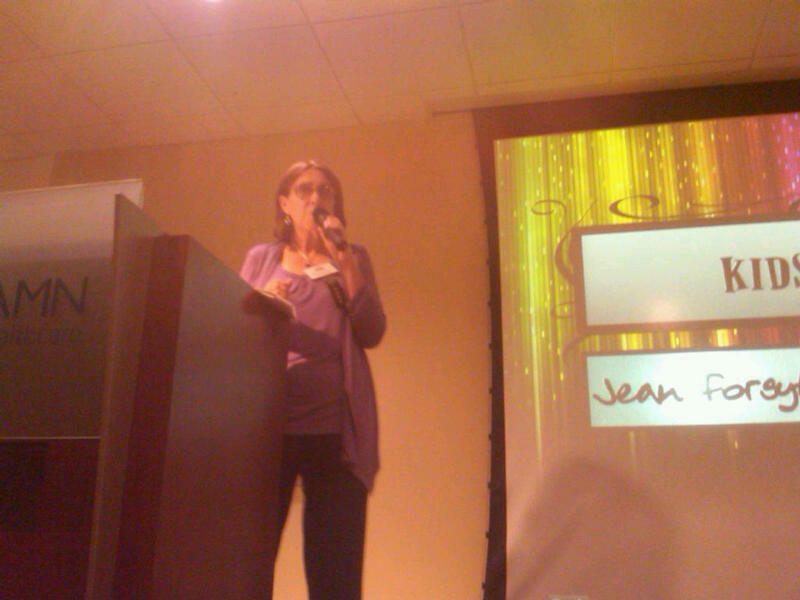 Johnnierenee Nia Nelson, who works with kids’ reading programs and all the judges who read many, many entries. There were many others involved who deserve kudos. too. Thank you! 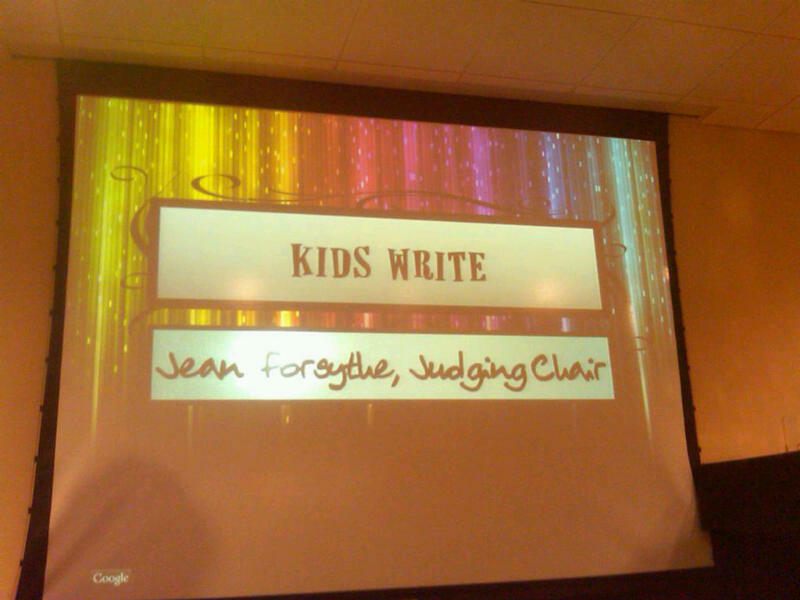 San Diego Book Awards launched new category–Kids Write–for writers age 10-13. The first finalists included Cody Clements, Julia Situ, and Brian Wang. I was thrilled to meet new authors (new to me) like Stacey and John Holley, who wrote Medals, Flags and Memories, dedicated to their son who was killed in Iraq. As they dealt with their indescribable pain, their heart wrenching journey led them to help other military families facing loss–by ensuring fallen soldiers are brought home with dignity and respect. RWASD–Romance Writers of America, San Diego chapter–had great presence at the San Diego Book Awards–and 2 members took first place in their categories–Lisa Kessler & Kelly Hayes! The Power of the Written Word. Healing and inspirational all at once. What a red carpet night, surrounded by the magic and power of the written word. Congratulations to all brave souls who submitted to the competition, all who were recognized, and all who made it possible. Onward! The Picasso, Amigos & Contemporaneos exhibit at Texas A&M University San Antonio brought more to the community than exposure to great art. Okay. This was one of the most difficult, most challenging homework assignments I’ve EVER had. I lost track of the number of hours–no–days spent on developing the story. In retrospect, since I’m a print journalist, I should have just written the story the way I normally would, then break it down into script format for the video I put together. The story was pretty amazing and inspirational as it was–my favorite types of stories. Texas A&M University, San Antonio, is in the “South Side,” which up until now, has been notoriously an impoverished area with high drop out rates. Texas A&M opened this campus in the heart of this community, the only four year university in the surrounding vicinity. The positive impact has been great. Enrollment increases every semester. With more than 500 acres to build upon, the architectural plans are phenomenal and the curriculm, top of the line. And the best part–the community has access to everything it offers–from classes to cultural events and everything in between. With the effort of many, the university brought the exhibit “Picasso, Amigos & Contemporaneos” straight from Spain; never before had any of the 97 pieces left that country. Nearly 10,000 people made their way to the exhibit. With the motto: Access to Success, the university gave a glimpse of greatness, and all of a sudden, many residents and student saw a glimpse of all the possiblities for their own futures and the blessings in their own backyard. Texas A&M San Antonio is shaking things up on the South Side. The possibilities for growth in educational & cultural avenues is great. 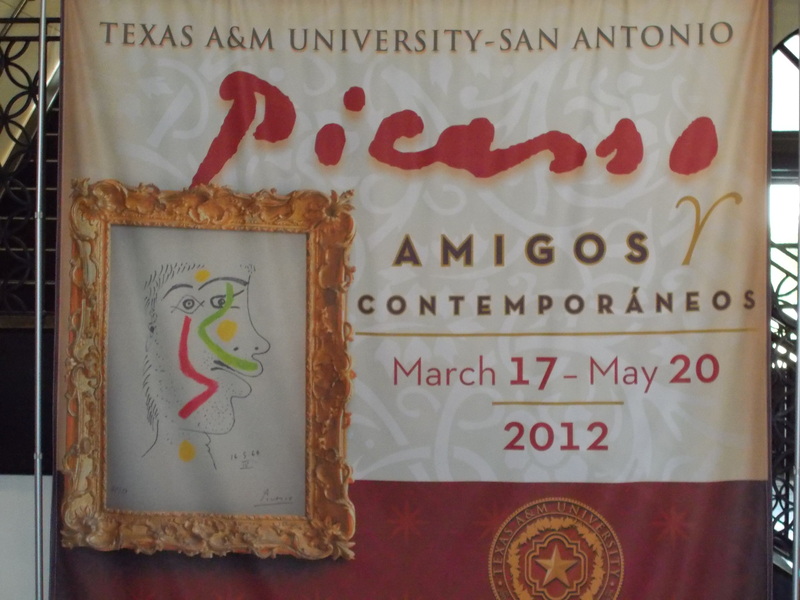 The Picasso, Amigos & Contemporaneos Exhibit took place from March through May 2012 at Texas A&M University, San Antonio, a brand new campus with only one building to its name. 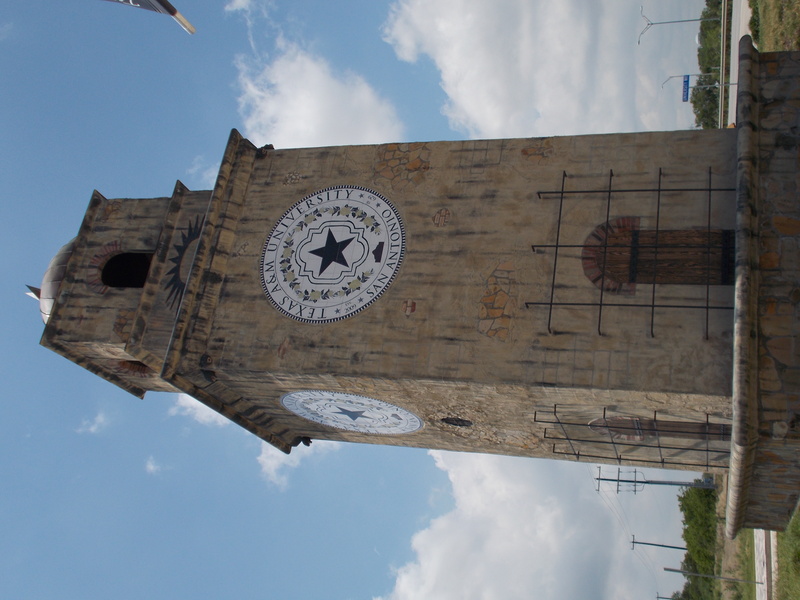 ATH THE HEART OF SAN ANTONIO, THERE IS A CULTURAL RICHNESS IT OFFERS ITS PEOPLE AND TOURISTS ALIKE. LESS THAN 25 MILES FROM ITS CORE, HOWEVER IS…THE SOUTH SIDE, UP UNTIL NOW, AN IMPOVERISHED AREA WITH A HIGH DROP OUT RATE AND NOT MUCH OPPORTUNITY TO WITNESS AND EXPERIENCE THE ART & EDUCATION AS INSPIRATION. 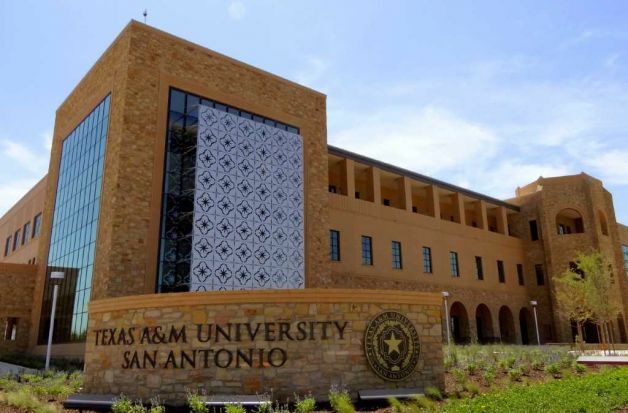 BUT WHEN TEXAS A&M OPENED ITS SAN ANTONIO CAMPUS ON THE SOUTH SIDE LAST AUGUST, THE MOTTO WAS “ACCESS TO SUCCESS.” THIS WAS BECAUSE OF THE BELIEF THAT THE MORE THEY OPENED THEIR DOORS TO CULTURAL AND EDUCATION OPPORTUNITIES, THE MORE THE COMMUNITY WOULD BENEFIT. BRINGING a PICASSO EXHIBIT TO THE CAMPUS BECAME A MISSION FOR THE UNIVERSITY AND THE EFFORTS OF MANY MADE IT HAPPEN. SYLVIA SUTTON, A TEXAS A&M MOM BORN AND RAISED ON THE SOUTHSIDE—AND A FORMER SCHOOL PRINCIPAL, STARTED THE BALL ROLLING. SERVING ON THE NATIONAL/INTERNATIONAL SPANISH TASK FORCE OF THE DAUGHTERS OF THE AMERICAN REVOLUTION IN WASHINGTON, D.C., SHE IS A CERTIFIED GENEOLOGIST. HER RESEARCH TOOK HER TO SPAIN OFTEN. WHILE IN SPAIN, SHE BEFRIENDED JAVIER MEDINA, THE OWNER OF AN EXTRAORDINARY AMOUNT OF PICASSO WORKS AND CONVINCED HIM TO BRING AN EXHIBIT TO SAN ANTONIO, AND, MORE SPECIFICALLY, TO TEXAS A&M UNIVERSITY, SAN ANTONIO. [TAKE: VO: SYLVIA SUTTON]: 56 I THINK I WAS A GOOD DAUGHTER. I WAS A GOOD PROFESSIONAL. I WAS A SCHOOL TEACHER AND THEN A SCHOOL PRINCIPAL FOR 23 YEARS. I WAS A GOOD MOTHER, I HOPE. AND A GOOD WIFE. AND NOW I’M ENTERING ANOTHER SEASON OF MY LIFE. AND I WAS THINKING WHAT CAN I DO FOR MY PEOPLE? THIS VISION OF WHY NOT THE SOUTH SIDE? WHY NOT BRING IT TO THESE PEOPLE? MANY OF THEM WILL LIVE THEIR LIVES AND NEVER SEE A PICASSO OR A WORK OF ART. WHY NOT PICASSO COME TO THEM? [TAKE: VIDEO DR. MARIA FERRIER]: 40 SYLVIA SUTTON HAD BEEN WORKING WITH THE PEOPLE OF DE GALVEZ, BUT ALSO WITH THE PICASSO FOLKS. AND THE PICASSO FOLKS SAID “WE WANT TO BRING THIS SHOW TO THE UNITED STATES AND TO TEXAS BECAUSE OF THE DE GALVEZ CONNECTION. AND SHE SAID, “WELL, I KNOW A UNIVERSITY WHERE YOU SHOULD DO IT. SURE ENOUGH, BEFORE THIS BUILDING WAS COMPLETELY BUILT, THE GUYS FROM SPAIN CAME, LOOKED AT THE SECOND FLOOR AND SAID, “OH MY GOODNESS. THIS IS THE PERFECT EXHIBIT HALL. SO THAT’S HOW IT WAS DECIDED TO BRING IT HERE. [TAKE: VIDEO DR. MARIA FERRIER]: 45 WE HAVE A BRAND NEW CHANCELLOR BY THE NAME OF JOHN SHARP AND HE IS AMAZING. I TOLD HIM ABOUT THE VISION, HE SAID, “ALL RIGHT MARIA, WHAT CAN I DO FOR YOU?” AND I TOLD HIME AND HER MADE IT HAPPEN. SO FOR OUR STUDENTS—AND NOT JUST THE STUDENTS BUT FOR THIS COMMUNITY, THIS VERY UNDERSERVED AREA OF SAN ANTONIO, TO HAVE THE GREAT WORKS OF PICASSO—AND NOT ONLY PICASSO BUT SALVADOR DALI—IT’S CALLED PICASSO, AMIGOS y CONTEMPORANEOS—SO HIS CONTEMPORARIES AND EVEN SOME OF HIS TEACHERS…WE’VE HAD MORE THAN 6,000 PEOPLE COME BY HERE. [TAKE: VO/ MENDOZA]: 1.00 FOR ALMOST TWO MONTHS, 97 PIECES OF ART BY PICASSO AND FRIENDS THAT HAVE NEVER BEFORE LEFT SPAIN had found their way to TAMUSA CAMPUS. IT HAS MADE AN IMPACT ON THE COMMUNITY. ALMOST 10,000 PEOPLE HAVE WITNESSED THIS RARE OPPORTUNITY. FOR MANY, THIS IS A CHANCE OF A LIFETIME. FOR OTHERS, SEEING THESE GREAT PIECES BY PICASSO HAS NOT ONLY BROUGHT ART IN THEIR LIVES AND INTO THEIR SOULS, THE EXPERIENCE CAN IMPACT AND AFFECT THEIR VISION OF THEIR OWN FUTURE. TEXAS A&M HAS GIVEN THEM ACCESS THAT CAN VERY WELL LEAD THEM TO THEIR OWN SUCCESS. [TAKE: VIDEO: DR. FERRIER]: 15 IT HAS BEEN ABSOLUTELY HUGE FOR OUR COMMUNITY AND OUR STATE. AND WE WERE VERY, VERY BLESSED. BUT YOU KNOW WHAT? IT’S ALL ABOUT THOSE DIVINE CONNECTIONS I ABSOLUTELY BELIEVE IN AND WITNESS EVERY DAY. [TAKE: PAN STILLS/ VO MENDOZA]: 25 PERHAPS TEXAS A&M STUDENTS AND THE COMMUNITY ON THE SOUTH SIDE WILL BE INSPIRED BY PICASSO, BY HIS ART AND BY HIS PURPOSE. PERHAPS THEY’LL BE INSPIRED TO REACH FOR THEIR OWN SUCCESS. HAVING THE PICASSO, AMIGOS & CONTEMPORARIOS EXHIBIT AT THIS CAMPUS WAS ALMOST MAGICAL. Whether writing articles, fiction, non-fiction, poetry, or any other type of the written word, your frame of mind in getting down to work can have an impact on your productivity. Here’s a fun way to look at that frame of mind. Note: Please don’t get caught up in using adverbs in your writing, though. Have a productive writing day! Who in the World is Sylvia, Journalist? Another assignment for our week 2 of Backpack Journalism is to do a short video, introducing ourselves in under 2 minutes. I worked on this for about 8 hours on my Windows Movie Maker–and struggled. I got this down to just under 4 minutes, going through tons of “footage”, trying to add music (did not succeed), and could not figure out how to transfer this to Adobe Premiere for a cleaner edit. I finally figured out how to get it into the right format–.wmv–and uploaded it to YouTube and now there’s no sound. Anyhow, for class purposes, here is my attempt for now. I will figure it out. Our assignment in Week 2 of the Backpack Journalism master’s class at National University was to develop a google map and corresponding story. I was on assignment for Hispanic Outlook in Higher Education Magazine at Texas A&M University, San Antonio, to cover the “Picasso, Amigos & Contemporaneos” exhibit there, which had been a huge success. How did it ever come to this one building university on the “south side” of San Antonio, the only 4-year university in the impoverished area? The TAMUSA administration is determined to keep bringing opportunity and access to students and the community at large, and offered free admission to this exhibit, in particular. It opened eyes, brought awe and gave tribute to the hard-working community. Here is my blurb, also found at my Google map of the event. An incredible “Picasso, Amigos & Contemporaneos” exhibit was held at Texas A&M University, San Antonio, approximately 15 miles from the famous Riverwalk San Antonio, and 25 miles from the airport. It is the first time these 97 works of art in different mediums had ever left Spain. Since opening on the “south side” last year, the university has brought the community cultural wealth in the arts, opera, music and politics–even the governor has spoken at this shiny new one-building university that has plans to grow in the next 10 years. The motto “Access & Success” drives the faculty, administration and community to provide opportunities to its students at this, the only 4-year university in the area. 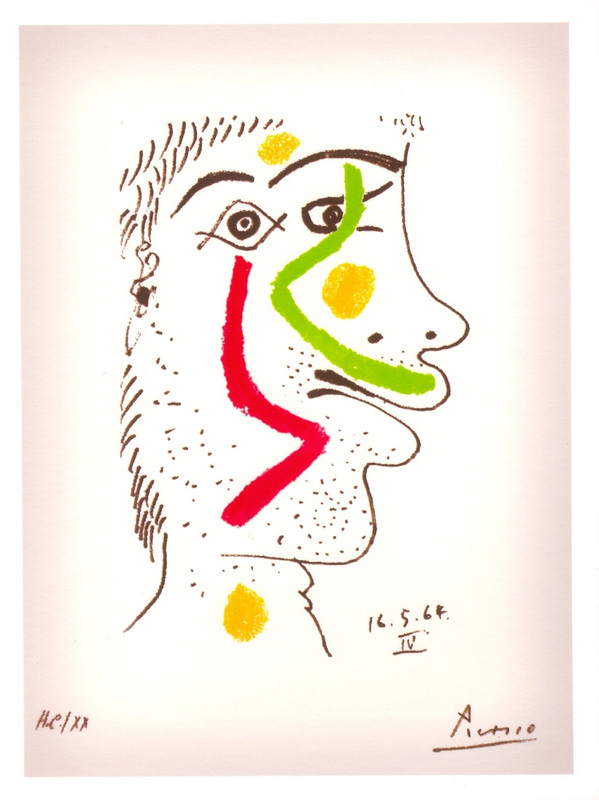 Picasso is only the beginning.